It's the freshness of the ingredients which will hit you first: fresh minced garlic matched with fresh chives fully flavor our renown gluten-free pasta to transcendence. 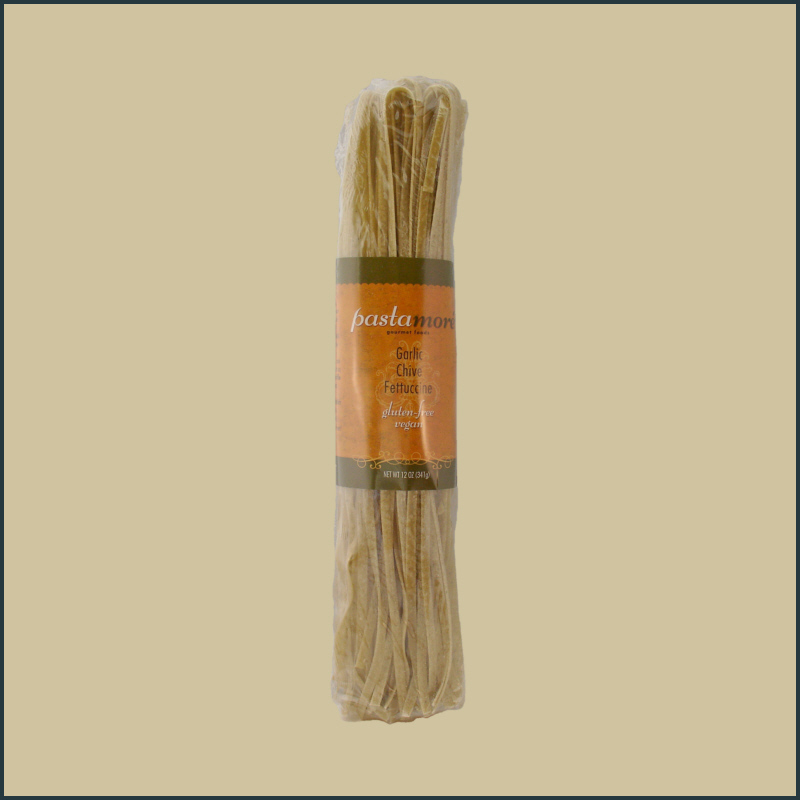 These are flavors which have been a classic for years now in our regular pasta line. A hearty meal on its own, or dress it up with some fun ingredients tossed in. 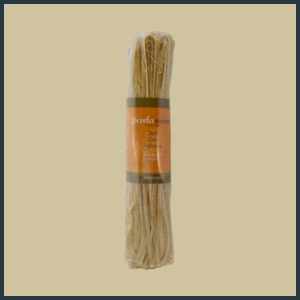 All our gluten-free pasta are made in a dedicated gluten-free kitchen. Enjoy the goodness of gluten-free! For a low-fat heart smart option, we recommend drizzling one of our olive oils, such as our Asian Dipping Oil, White Truffle Oil, or our Roasted Tomato Blend. For added flair, toss with some grilled Italian sausage, steamed vegetables or beef medalians to complete your finished dish. Made in a gluten-free, dairy-free, soy free & nut-free facility.